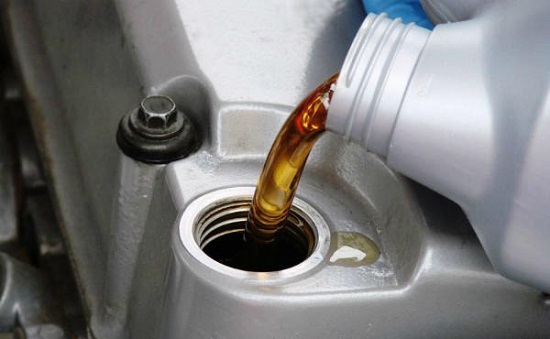 Most vehicle owners know it is important to regularly have their motor oil changed. Many owners may not know that choosing any oil weight other than the one specified in their owner's manual could damage their engine. Using the right weight of oil is made more difficult by all the gas stations and convenience stores that still sell 10W-30 for old cars but do not have the shelf space to stock the many different oil types for newer cars. Do not top off your engine with the incorrect oil because that is all a store carries. Also, do not choose 10W-30 simply because it is less expensive. It can be tempting to buy a cheaper weight, but putting the wrong oil in your engine could cost you much more money down the road. "Imagine an engine oil pump designed to circulate seven quarts of low viscosity 0W-20 oil rapidly around a motor now struggling to move some witch's brew of various weights," says Taylor. Einstein's Oilery always installs your vehicle manufacturer's recommended grade and weight of oil so you can be confident your car is getting exactly what it needs to maintain your warranty, fuel economy, and engine performance. For your convenience Einstein's also offers our extended courtesy which allows you to have your oil or other fluids (or tire pressure) checked and filled FREE of charge between oil changes (within 3 months or 3,000 miles of your last Einstein's service)! Simply pull up to the front of any Einstein's location and we'll do the rest!